SURF SAFER: Replace your Web Browser and enjoy the Net as it was meant to be with these revolutionary Free Web Browsers. State-of-the-art Free Web Browsers that let YOU control the way you access and use the Internet! ALTERNATIVE BROWSERS We Chose The SiteLock Trust Seal To Promote Trust Online With Our Surfers. Surf Safer With An Alternative Web Browser. Get Real-Time Protection Against Phishing, Spyware and Browsers Hijackers. Mozilla's Firefox is a fast standards-compliant free web browser based on the Gecko rendering engine. It contains many useful features including multi-page tabbed browsing, privacy enhancements, developer tools, popup blocking, themes, plugins and hundreds of useful browser extensions. One thing that helps to make Firefox safer than Internet Explorer is the absense of ActiveX support, which is often used by spyware to infect computers. New: Firefox mobile apps have released Firefox for android mobile phones and tablets, and iOS mobile iPhones and iPads. With current innovation and new development platforms for mobile apps, we'll be sure to see many of the popular browsers migrating over. The Opera browser is a super fast standards-compliant web browser offering advanced technologies not found in other web browsers. 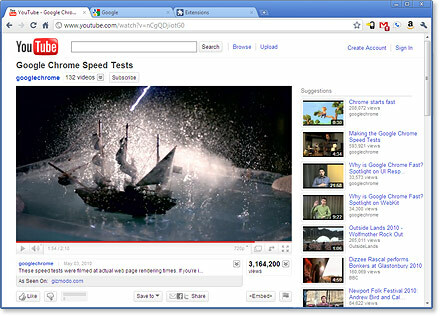 Opera browsers are available for tablets, mobile phones, desktops, home media and verticals. It has its own rendering engine called Presto and offers great features including tabbed browsing, popup blocking, fast forward, skins, email and chat. Security and anti-phishing features block spyware and malicious web sites. Opera's Voice function allows you to use spoken commands and have web pages and text read back to you. Opera for mobile phones includes tabs, speed dial, text wrapping, touchscreen pinch-to-zoom, share icon and advanced bookmark management. Opera Mobile's Turbo feature compresses data by up to 80% to save you money on wireless data charges. The Advantage of Embedded Internet Explorer. A browser which embeds IE is not IE. Browser developers embed IE's Trident rendering engine into their browsers to provide better compatibility between their browser and web pages designed specifically for IE. It allows developers to leverage the existing IE code base to develop their own "IE-like" browser, but with their own unique features and options. The "embedded IE" concept is a win-win for both developers and consumers, and provides a valuable and useful feature. 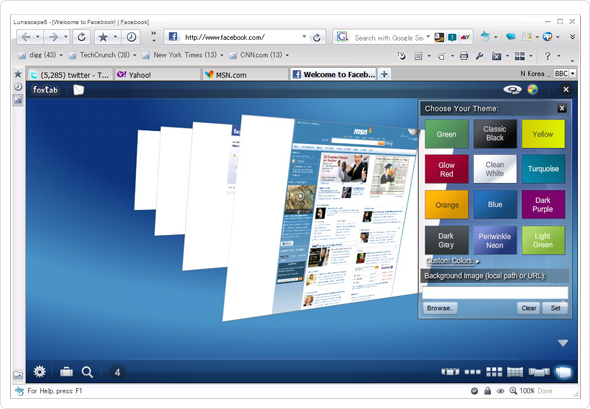 Maxthon Tabbed Browser is a multi-page free web browser with an IE engine and customizable interface. Its features include form filling, auto-scrolling, plugin support, external tools, newsgroup-browsing, mouse gestures, skins, auto-hide, pop-up blocking, extended Unicode, theme support and enhanced toolbars. Kylo, a new web browser optimized for use on TV screens. "We're attempting to address the need for a usable 10 foot browser on home theater PC systems. We use a Mozilla base, and have built what we hope is a simple and clean interface on top of it. Kylo is available on Mac and Windows" - Dave Coleman, Kylo Program Manager, Hillcrest Labs, Inc.
Lunascape Browser is unique in that it uses the three major rendering engines Trident, WebKit and Gecko, as well as supporting triple add-ons. Firefox add-ons are easily imported into Lunascape. You have the option of a feature rich interface or a minimalist mode Orion. 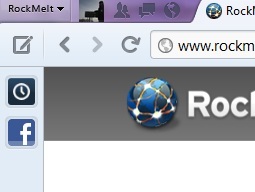 Rockmelt is a social web browser catering for those that use the internet to connect and share with others. Rockmelt's features include live update notifications from Facebook, Twitter and other social networks, share and save any content to view later, and easy one-click sharing. Rockmelt uses WebKit, the same rendering engine that powers the Google Chrome browser. ShenzBrowser, while other web browsers are competing for more features, this browser excels by its simplicity. It's user-friendly, has a larger viewing area, a single click to access all functions like favorites, address book, email client etc. The browser takes on most of the internet settings you have set for your IE. All your favorites and homepage remain intact. 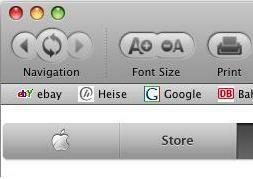 iCab is a highly configurable web browser for the Macintosh, based on Apple's Webkit rendering engine. Features include ad filtering, tabbed browsing, download manager and web archiving. It has free versions as well as a paid Pro version with additional features. The SlimBrowser is a tabbed multi-page web browser that brings a large range of powerful and convenient features. Its features include pop up blocking, skins, quick search, auto-login and web form filling. The Panda Safe Browser requires Firefox and uses the Sun VirtualBox to restrict access the browser has to your computer, a security technique known as sandboxing. It allows you to surf the web securely and privately, mitigating the chances of malicious websites affecting your computer. Malwarebytes' Anti-malware is a well known anti-malware program that allows you to surf the web safely by giving you advanced protection against threats such as browser hijackers, malicious websites, malicious BHOs, Trojans, spyware and adware. The free version removes infections!